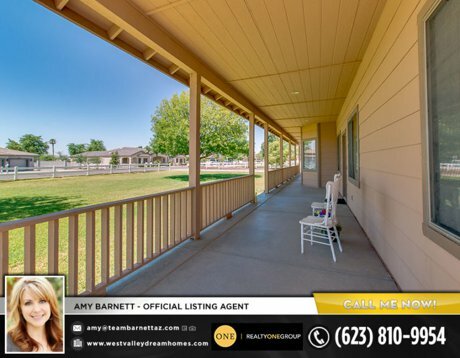 Just listed horse property in Waddell! 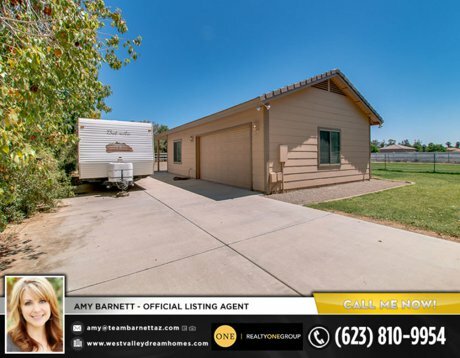 Check out our just listed property in Waddell! Country living at its finest! Adorable farmhouse-style home w/huge front porch & white rail fencing. 3 car garage on the main house & 2 car garage on the guest home, 5 car total! 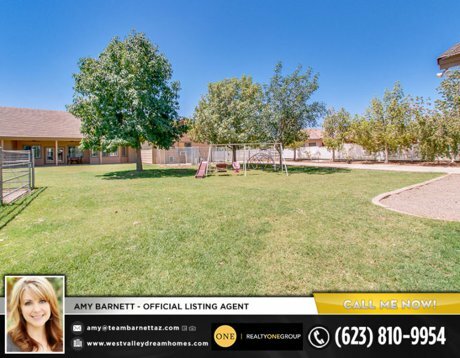 Flood-irrigated property w/4 horse stalls & horse arena, mature shade trees, private backyard, extra long driveway & large back porch. Interior upgrades include wood plantation shutters, slate tile flooring & new granite counters. 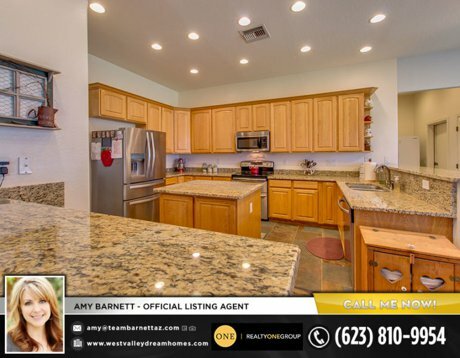 Spacious kitchen with tons of counter space, roll-out cabinets, 2 pantries & stainless double oven. Master suite is split, master bath has large jetted soaking tub, shower w/2 shower heads, linen closet & walk-in closet. 3 more bdr’s split & 1.5 more baths. Guest house features a front porch, full kitchen, family room & bath, 2 car garage w/cabinets & laundry area. Super rare property! 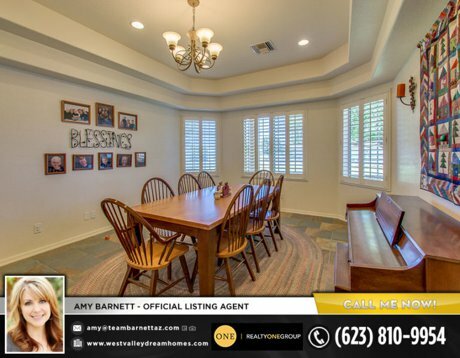 Listings Just Listed by the Barnett Team! Coming Soon in Waddell! One acre property w/irrigation available! Check out the virtual walk through tour of our gorgeous custom home listing! 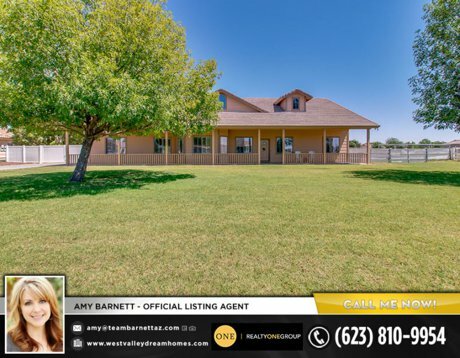 Horse Property Open House This Weekend!